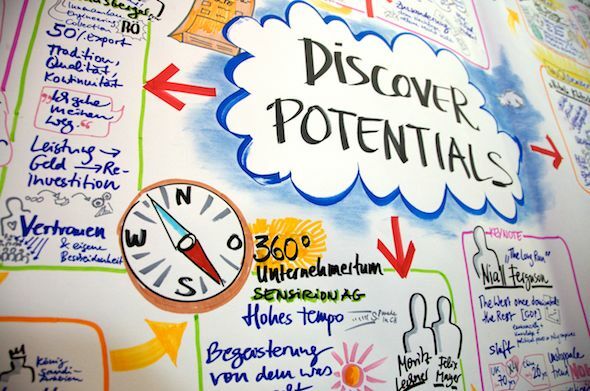 We had the pleasure to create a live real-time visual protocol of the renowned Swiss Economic Forum 2011 (and 2012) conference. Additionally daily summaries of the conference were supported through flip-chart visuals. The new format found excellent approval of both the audience as well as speakers from around the world. 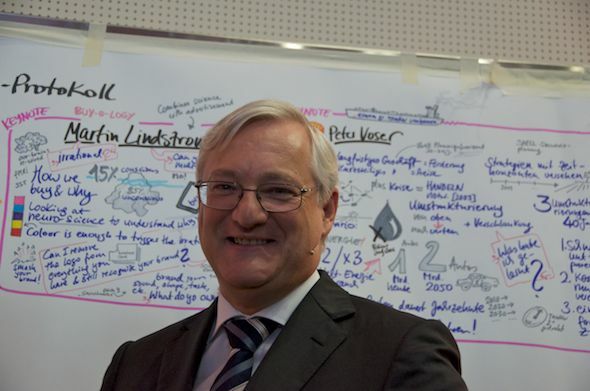 Peter Voser, CEO Royal Dutch Shell, in front of the live work-in-progress graphic recording of the event. Swiss Economic Forum (SEF) is the premium economic leadership event in Switzerland. We bring together the most powerful minds in business, politics, science and media from all over the world with top executives and entrepreneurs from Switzerland. We are focusing on the crucial issues and trends that are shaping business today and tomorrow.